One of my favorite summer memories growing up was having tons of summer sleepovers at my grandma’s house. Where else can you eat ice cream at midnight and put extra sugar on your cereal? Now that I have kids, I know they love spending the night at their Nima and Papa’s (my mom & dad) house. The kids have a blast, I get a break, and my parents get to build tons of memories with their grandkids! It’s a win-win-win! 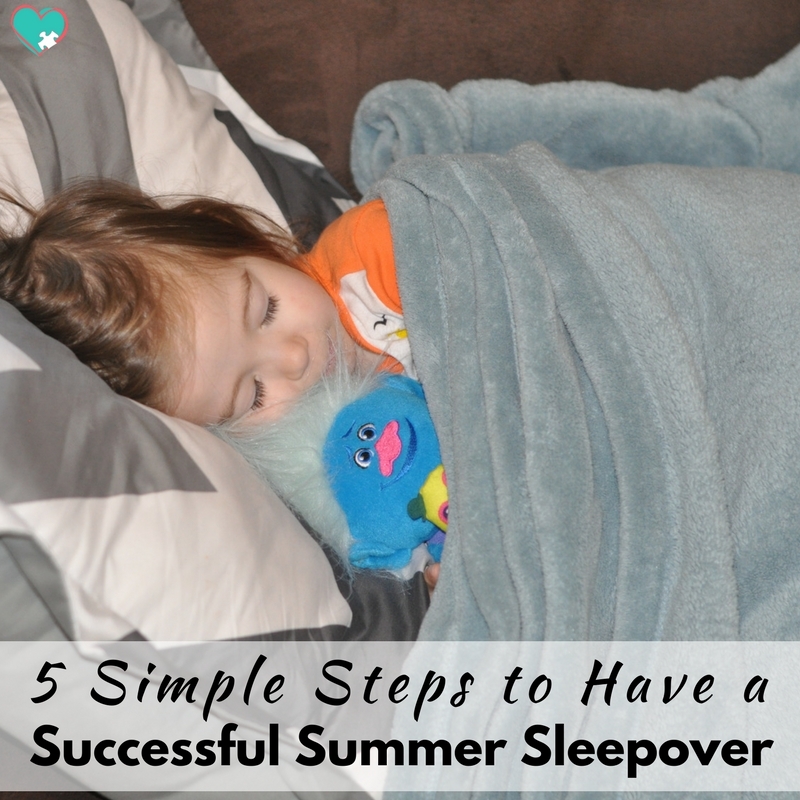 With that said, here are my 5 best tips for a successful summer sleepover! *This post is sponsored by Pfizer Consumer Healthcare, but all thoughts and opinions are 100% my own. Please see my full disclosure for details. Most of the tips in this post revolve around everyone being prepared. Maybe it’s just me, but I’m always positive I’m forgetting something when I send my kids out the door. With these quick tips, you and your kids will know that you’ve done everything you need and they can have a blast at their summer sleepover! I’ll be the first to say that this will look different for every family, but it’s always super important! 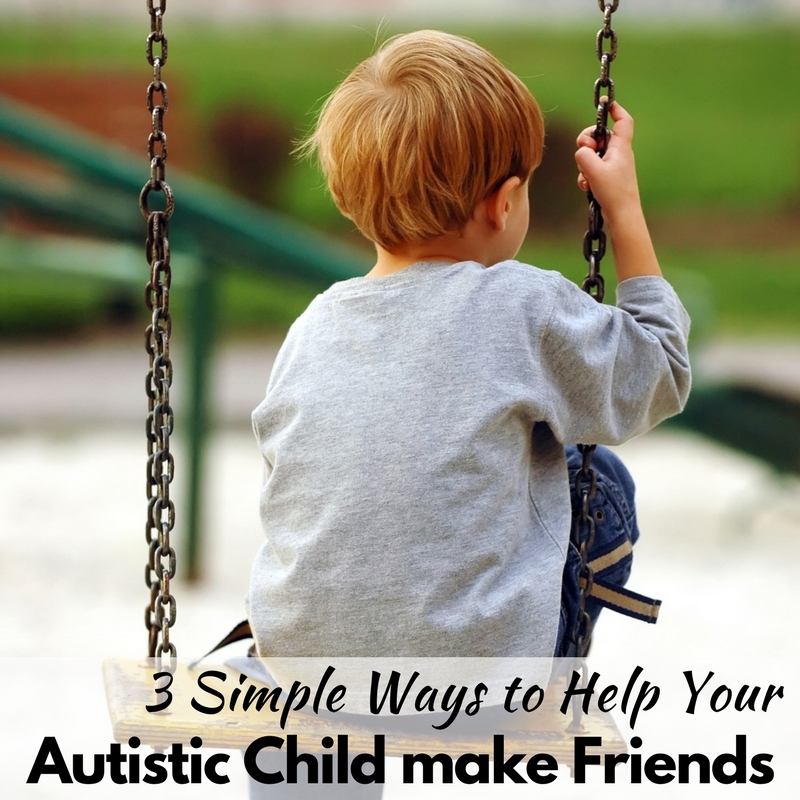 A-Man’s autism makes changes in routine hard, so we have to really prepare him for a big event like a sleepover! We start talking about staying at Nima’s about a week in advance and count down the days. For Mr. C, the concern is primarily behavior… Sometimes he gets a bit out of hand when he knows a sleepover is coming! So we’ll chat about what is expected of him, what rules he needs to follow, and what he can expect. We make sure to let him know when he’ll be going, who all will be going (we have a lot of kids, we have to clarify which ones are included!) and when he’ll come home. Anytime we send the kids for a sleepover we try to pack them a bit of comfort from home. Again, this will vary kid by kid. For Mr. C? He likes to bring a favorite book so he can read for a while before bed. For A-Man it might even be a specific snack or dinner food because of his eating struggles. 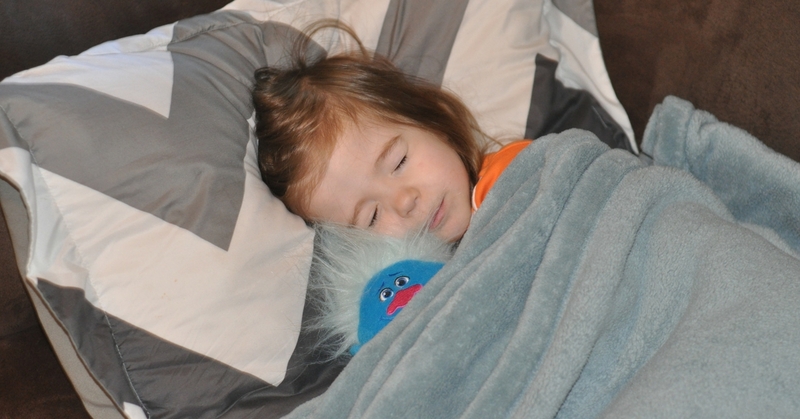 Cap’n M loves to snuggle with his “Biggy” doll from Trolls to go to sleep, so we always make sure Biggy gets packed! And Miss S? We always make sure she’s got a few binkies and a few of her favorite toys to keep her feeling awesome during a sleepover. 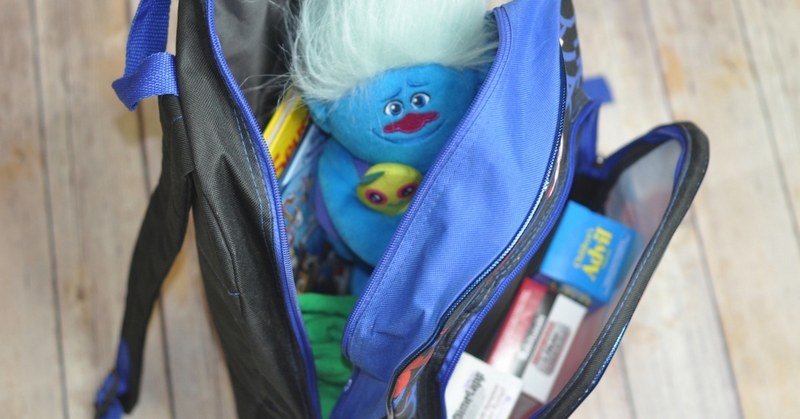 Okay, so the stuffed animals and bedtime stories are fun, but you also want to be practical when packing for a summer sleepover! You always hope that your kids will have a great time, but sometimes stuff happens. A sore throat, a headache, these seemingly minor annoyances can become a big issue when your kids are with their grandparents who haven’t needed children’s medicine in years! We always pack some basic children’s medications just in case when the kids head out for a sleepover. We want to know that if something happens our kids can start to get relief immediately. The basics that we include are Children’s Advil® Suspension, Children’s Robitussin ® Extended-Release 12 Hour Cough Relief, and Children’s Dimetapp® Multi-Symptom Cold Relief. 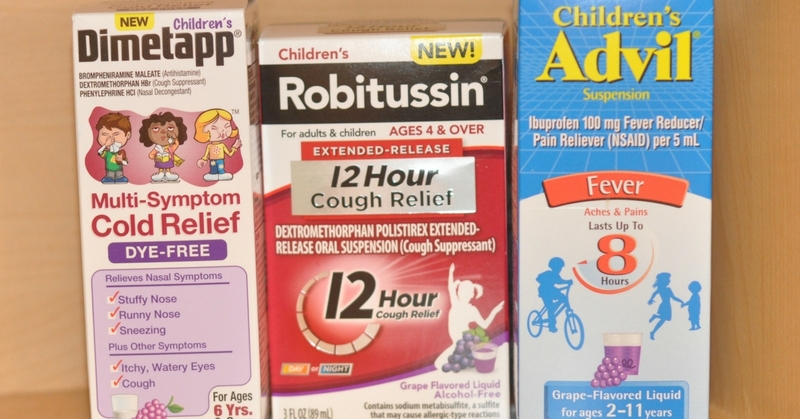 With these three meds we cover the bases of pain relief, cough relief, and cold relief, so the kids are covered! This is easy for us because “the grown ups” are almost always my parents, but it’s still important to have a chat each and every time you send your kiddos somewhere for a summer sleepover! 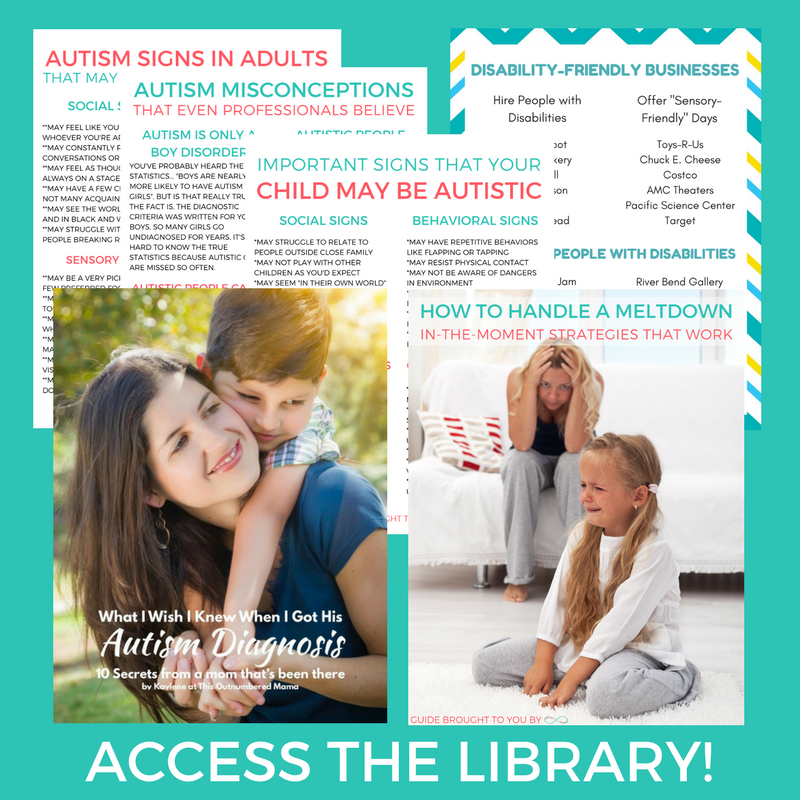 You’ll want to go over any specific expectations you have for your kids, make sure you know all the adults in the house, and have a plan for pick ups/drop offs. You should also go over what your child’s current dose is for any meds that you send with them, and explain any allergies or food sensitivities fully! My final tip for having a successful summer sleepover is to plan a really relaxed day the day your kids come home. You do not want to have tired and overexcited kids come home and immediately run out the door for a super busy day, trust me! We like to take a day (or even two sometimes) after the kids come home from a sleepover and have lazy days as the kids transition back into the routines at home. 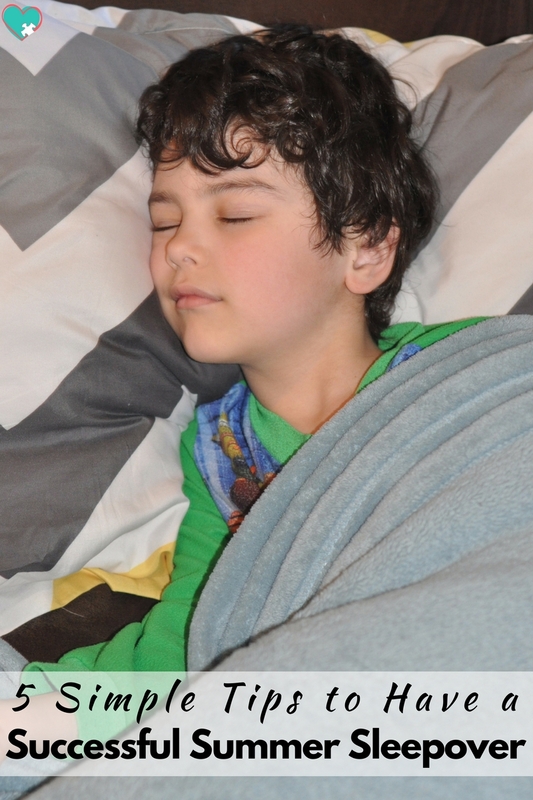 On days Mr. C comes home from a sleepover, he’ll often even take a nap, which isn’t a regular occurrence for him. Sleepovers are super fun, and they don’t have to be stressful or exhausting! Take these 5 tips to heart and you’ll be all set to have a successful summer sleepover! 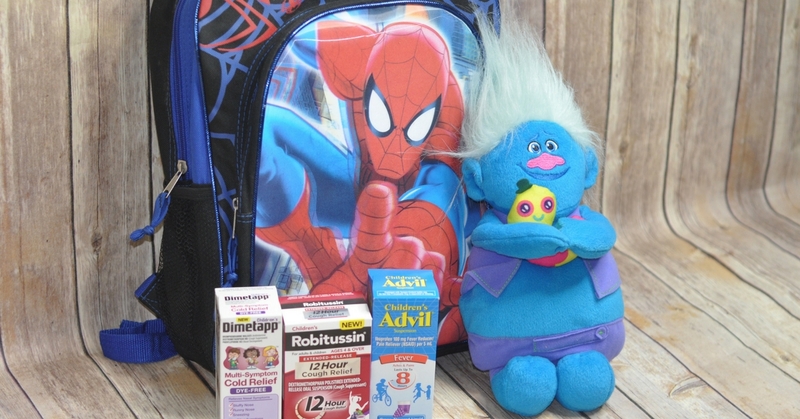 Oh PS: You can enter the giveaway below to win a $25 virtual visa gift card and (1) Children’s Advil® Suspension, Grape, (1)Children’s Robitussin ® Extended-Release 12 Hour Cough Relief, and (1) Children’s Dimetapp® Multi-Symptom Cold Relief Dye-Free to fill your medicine cabinet! I remember as a child struggling during sleep overs. These tips are fantastic! My favorite sleepover memory is of the time my friend’s parents let us sleep outside under the stars. We thought we were being so adventurous! My favorite sleep over memories was staying at my cousins house and making blanket forts and staying up late. I loved sleepovers as a child at my grandparents house. I always woke up to the smell of bacon and eggs in the morning for a special homemade breakfast! No one in the house has had a sleepover this summer. I don’t remember any sleepovers when I was a kid.